I'm the owner and administrator of VforVectors.com. My own website dedicated to Adobe Illustrator where I use to publish my own tutorials every week. This tutorial will take you through the process of creating a concept art on Phone applications. 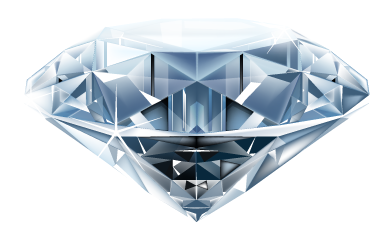 It will teach you how to use the 3D tools in Illustrator, symbols, Illustrator scripts speed up the creation of this illustration. 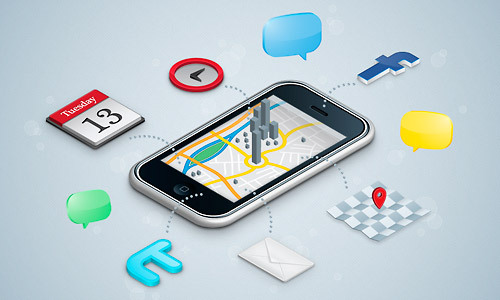 You will also learn to draw maps, social icons, calendar, clock, envelope in isometric style. 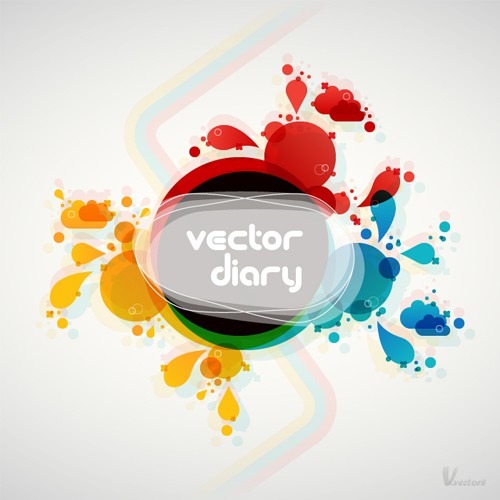 Let’s learn how to create a vector stencil effect in Illustrator. You will learn how to use a brush to outline the text edges to create a nice stencil effect. This stencil effect can be used to a create nice graffiti effect done by spray paint. 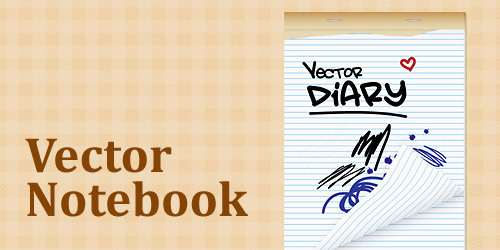 In the following adobe illustrator tutorial, I will show you how to create a vector notebook easily. I will also be showing you some distort techniques to create the page fold effect. So enjoy! Learn to create a nice 3D cubic text effect in Illustrator. This tutorial will teach you how to use 3D tools to create 3D cubes from squares. You will also learn other blending techniques to create the see through cubes! So start learning today. 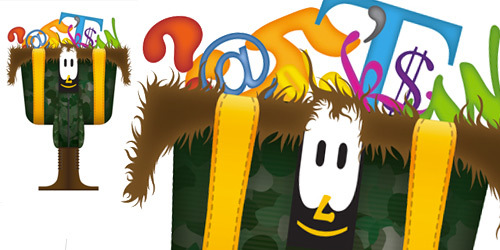 Learn how to create typography Mascot out of letter T in this illustrator tutorial. This is a fun tutorial to draw typography characters from scratch in Illustrator. You will also learn how to create camouflage prints using Transform effect. Beginners will definitely enjoy this tutorial. 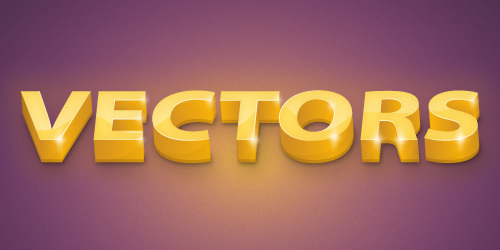 Learn how to create an 3d golden text effect in this premium illustrator tutorial. See how to create text using 3D extrude and the techniques to clean up the broken shapes. The final steps will teach you how to create glows and highlights for the 3D text. This will be a great tutorial for beginners to create professional 3D text effects in Adobe illustrator!